The World Edition includes a detailed road network, water features, urban and rural land use. 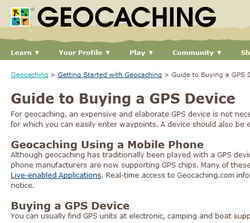 The place to start when thinking about buying a GPS to use for Geocaching is at Geocaching.com’s GPS Buyer’s Guide You’ll find a wealth of information about Geocaching and the equipment you’ll need. Here is a listing of good GPS units on Amazon where you can check out many of the best handheld units that are available. 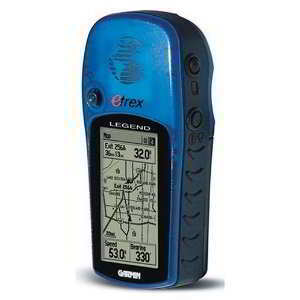 I’ve used this old Garmin eTrex a lot over the years. I was happy with it when I first bought it and I still am. Newer units now work a lot better, especially under trees and shielded areas, but I sure found a lot of caches with ‘old blue’.